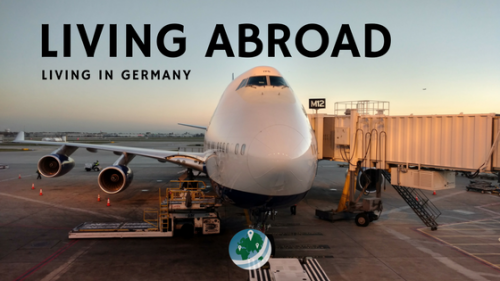 If you spend any time around the web looking for answers or asking questions about moving abroad, you’ve probably come across the same response numerous times. People always seem to mention or respond with, “Do you speak the language?”. This is definitely common for Germany as well, even though such a high portion of the country speaks English. There’s still a good reason why people mention having German language skills. In order to have a comfortable and fulfilling life in Germany, you have to learn German. Not everyone speaks English, and I certainly don’t expect people to switch to my language in their country – though they very often do to “practice” with me. Fortunately for me and many others, I didn’t need to be fluent before moving here precisely because many people speak English. However, I still wanted to give myself a head start knowing I would probably take formal German courses once I arrived. 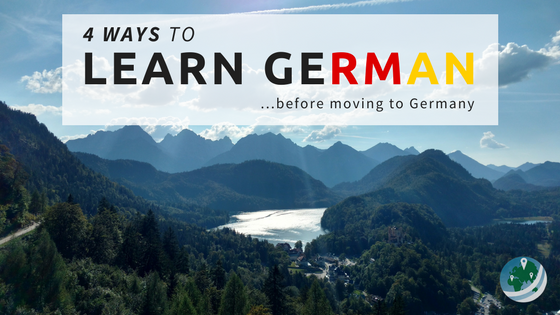 Once I had set my mind on moving to Germany, I started to look for ways to learn German on my own. This definitely didn’t replace what a formal course would have taught me, but it was much cheaper. Plus, I was able to learn German at my own pace and on my own time. Okay, okay, I hear ya. Yes, textbooks are largely boring and remind all of us of homework. Well, good. You’re going to need a studious spirit to keep yourself on the track and continuously improving. Other than that, good textbooks are actually very good at teaching you the harder concepts. Complicated things like strong/weak inflection for adjectives and subjunctive 2 are much easier to learn through a clear explanation and accompanying examples than through repetition and guesswork. Back in early 2015, I ordered a set of German textbooks off of Amazon to help guide my learning process. I ordered this set: Living Language German, Complete Edition. I’ve finished the first two books, but I have yet to pick up the last one. I should probably get on that, especially since my German has improved so much in the year or so since I finished the second book. However, the first two definitely made the purchase worth it by themselves. 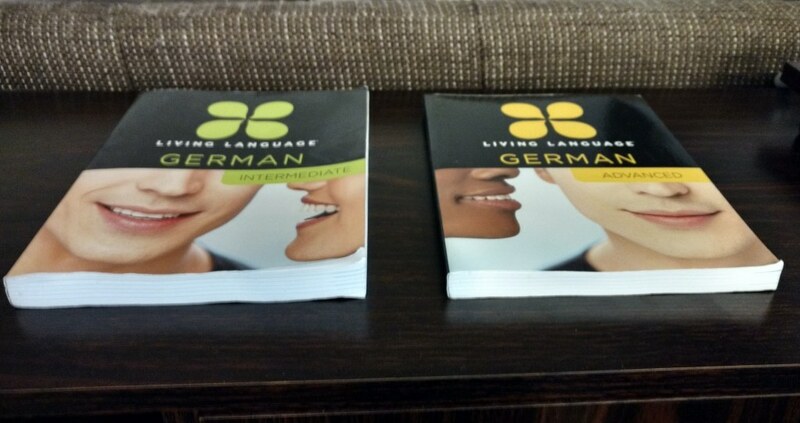 Books 2 and 3 of the Living Language German, Complete Edition. Can you tell that I haven’t touched the 3rd book yet? The set comes with audio CDs (which I just ripped to my phone to follow along). It also comes with access to the Living Language online site, where you can continue to learn German online by practicing the concepts and vocabulary in the book. A screenshot while listening to the introductory episode to season 2 of Coffee Break German! I didn’t even know the started new season until checking in on them for this post. Now I’m excited to listen to all the new episodes! Obviously, textbooks only formed the very base of my strategy to learn German. Another important part of my process was using podcasts to improve my listening skills, and everything else to do with learning a new language. There are tons of podcasts for the German language out there. They vary in quality, and many focus on simple repetition of vocabulary. 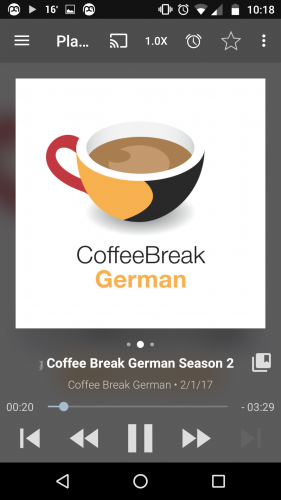 I’ve tried several of the podcasts out there, but only one has stood out as a truly helpful tool in my quest to learn German: Coffee Break German (iTunes link). I found Coffee Break German by simply searching for “German” in my podcasting app, Podcast Addict. I’m sure you could easily find it in your app of choice if you don’t use iTunes. The podcast is presented by two guys, Mark (Scottish) and Thomas (German). Thomas and Mark go through new German words each week, typically around a theme or topic. You basically get to learn German alongside Mark, as he is taught by Thomas and some other people they bring on during the show. They also have grammar breakdown segments which dig deep into the depths of the language to expose its inner workings for us learners. Finally, the podcast also has segments on German culture, on topics ranging from beach vacations to Christmas Markets. Overall, it’s a really well-produced podcast that will definitely help you learn German (within your coffee breaks). 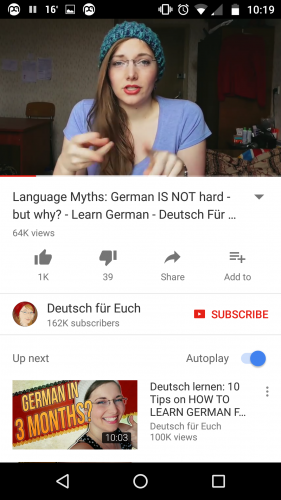 Of course, it being 2017, there is a plethora of channels on YouTube that can help you learn German. Of course, there are typical language learning channels, focusing on teaching the viewer German. These are great for lots of reasons, one important one being that they explain concepts behind the language, and speak in their various natural German accents. Each has their own quirks and style, so pick one you like and let them teach you! Here are a few that I watched when I was preparing myself to move to Germany. Screencap of a video from Deutsch für Euch (German for you!). She’s a great YouTube presenter and is very helpful, guiding you through the intricacies of the German language. Fortunately, the ‘Tubes aren’t limited to these language-learning focused channels. I watched a couple of others to give me a better idea of the expat/immigrant experience in Germany as well. Not necessarily about learning German, but about living here. Finally, a list of YouTube channels I used to learn German wouldn’t be complete without mentioning the one definitely watched (or at least listened to) the most. It’s not so much a channel, but a type of content, a very specific type. Old episodes of the German children’s show Löwenzahn. Löwenzahn (literally “lion tooth”) is the German word for “Dandelion”. I have no idea how that is connected to the show, but in any case, it basically teaches little German kids all about the world and how it works. It covers everything you could imagine: from how electricity is generated and brought to your house, to the environmentalism movement in Germany, to how bread is made. Yes, Germans, I know this episode is NOT with the traditional, original, amazing, and sadly recently passed Peter Lustig. I think the newer episodes with Fritz Fuchs are a bit easier to understand for foreigners though, so I linked it here. There is a seemingly official channel, LöwenzahnTV. But something tells me that’s probably only available in Germany. When I was back in the US, I used this channel: Phineas Bogg. I used to just put it on in the background at work to listen as I worked. I hardly paid attention, but I made myself listen anyway. If you want to watch, there are actually German subtitles on the videos so you can mentally match sounds with words to learn the language faster. 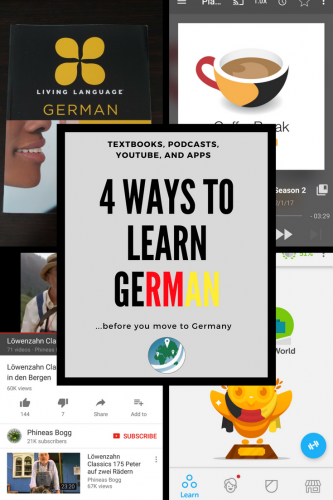 And finally, no guide telling you how to learn German would be complete without talking about apps. Language learning apps have revolutionized the process of getting a new way of communicating into your brain. They’ve made it easy, free (or inexpensive), and fun to learn new languages. Duolingo (website / App Store / Play) is probably the most well-known of these apps out there. It is absolutely great at teaching you vocabulary, listening, and even speaking if you have that feature turned on. However, Duolingo is pretty crap at teaching you the complex concepts behind the language. Fortunately, if you do the course on the computer, Duolingo provides little, written sections that explain what the app’s lessons can’t. I took the time and compiled the notes below into a handy dandy PDF. Now, I was going to make you sign up for the Newsletter to get it, but what the hell – I just compiled the notes Duolingo made, so that wouldn’t feel right. 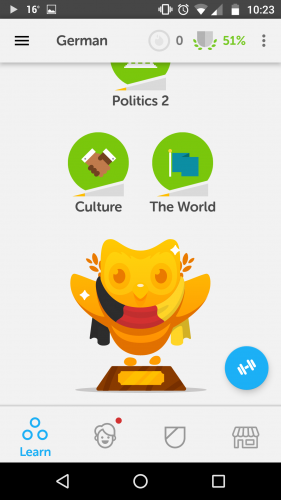 Teaser: the very last note that Duolingo presents, on the second or third to last lesson in the whole course, starts with the question: “What is a Wurst?” To put such a basic and often funny part of German culture as the last note in their German course, veeeeery funny, Duolingo! Memrise (website / App Store / Play). Essentially only for vocabulary, but has a ton of different German courses that fit any level of learning. Babbel (website / App Store / Play). I’ve toyed around with it but never went too far, as I hadn’t finished Duolingo yet. And I’m actually planning on learning Spanish next too! I have some training from my pre-high school years, and a lot of exposure to Hispanic culture from Chicago, so it won’t be too hard, but I just have to put in the time, and maybe move there in the next few years :)! 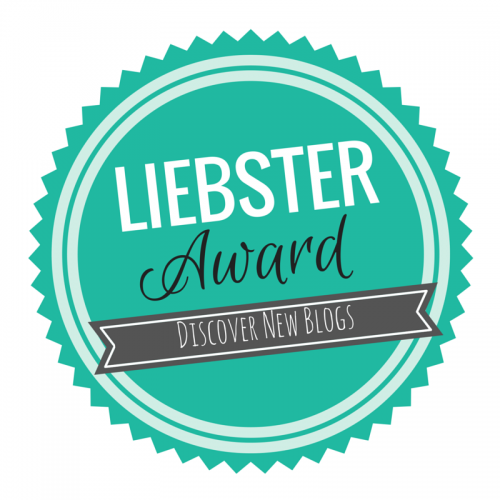 Cheers – and thanks again for your input! I really appreciate it! You’re definitely right about the difficulty though. Without the motivation of living in a place where say, German, is the spoken language, what motivation would I have to learn it? On the other hand, since I’m here, I have a very specific motivation for learning German. I quickly grew tired of awkward interactions at the coffee shop or the supermarket, so ending those was my motivation to learning quickly! You make it sound so easy… though one must start somewhere and I have tried learning German with IOS apps. For people who have learnt German already can try talking but for freshers I believe one has to go through the steps you have mentioned. Yea, I think these ways of learning are a great way of getting your feet wet with the language. 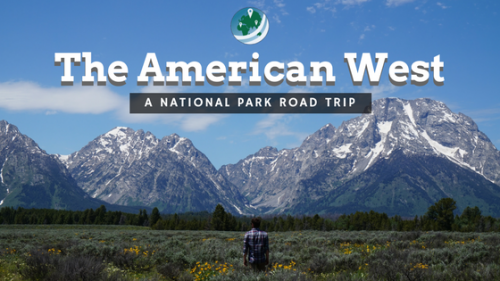 They make it a lot easier to get around once you arrive and to jumpstart your language learning process before you arrive. Obviously, if you have the time and money for a formal course, you should go that route. Thanks for commenting! I studied German at University and then did a study abroad in Kiel. Our teacher would always play us music and cook for us. We would use German recipes and have our own study groups during the week to make classic German food. I also sang in a German choir in my city, which helped a lot. Everyone learns differently and at their own pace. I think just having consistent access to games, videos, really any kind of media is super helpful! These are some wonderful tips! My husband speaks Japanese and I have been trying to learn for a little while. I have used some of these strategies as well. 🙂 I’m planning a trip through Europe for sometime soon so I’ll definitely be using your tips above to learn some German prior to visiting! Very nice. German seems so hard. I already know a few words since I have family who live in Germany. These are some very helpful tips. Thanks for sharing! Awww it’s not so bad! I always think of learning languages as learning how to communicate, share, and learn from X million more people in the world. German opens up, what, roughly 100 million new people to me? That always motivates me to keep learning. Glad you found the post helpful, and thanks for commenting!